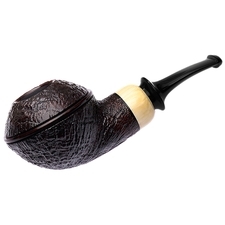 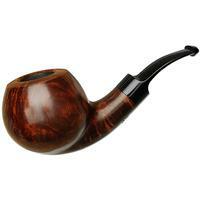 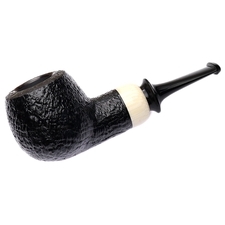 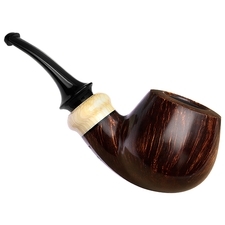 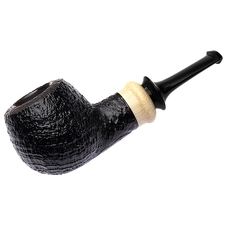 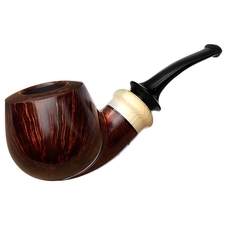 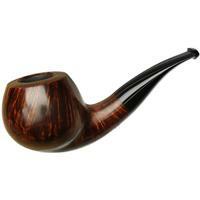 This bent Pot shape is very much a Grechukhin shape, being stout, forward, and compact, with a well-defined transition and an alert posture in profile. 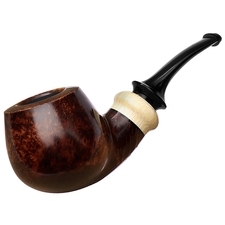 The carver has a dynamic eye for comfort and visual interest, and with this PS Studio piece, crafted in honor of the workshop's 10th Anniversary, you get all that in a piece hand-shaped and hand-finished by the elite PS Studio team. 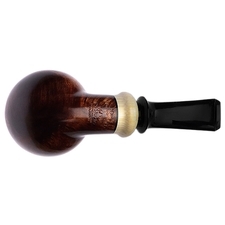 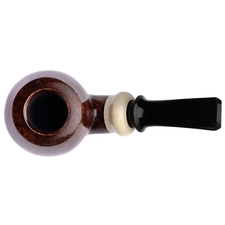 Fashioned from high-quality Calabrian briar, this pipe is finished in a warm, Bruyere-like contrast, paired to an elegant hand-turned ivorite mount, the likes of which complement the piece beautifully.